The ECOSYS M2540dw combines exceptional print quality with advanced features in a monochrome multifunctional printer designed for the budget conscious business. Easily copy, print, scan and fax from a device that offers reliability, low TCO and ECOSYS long life consumables. Workgroups can easily drive their business from anywhere, with wireless functionality and On-The-Go printing/scanning capabilities. 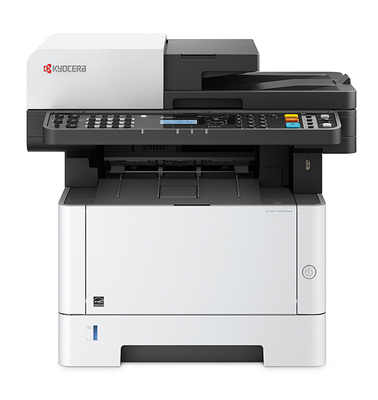 Add to this print speeds up to 42 ppm, advanced security features, and convenient walk-up USB accessibility, and you’ll see why the ECOSYS M2540dw can affordably take your business processes to the next level. Paper Size 5.5" x 8.5" to 8.5" x 14"